When young OD’s search for career opportunities in optometry, many young ODs think that the best mode is private practice or medical based optometry. Many don’t think of corporate optometry as an option. For Eyes is not your typical corporate optical. Many optometrists enjoy owning their own practice by subleasing and still have that “private practice” feeling, while practicing the way they want. New graduates are able to start as an employed OD for the organization; build the practice and convert the location to sublease in the future if they decide to. This is a great option for many young entrepreneurial ODs that can learn the business and be compensated for their time as they sharpen their clinical skills and learn the practice management aspects of optometry. Joining For Eyes is the best way to advance your career and personal development to become a successful OD. There are many locations where new graduates can easily find a job, whether it be independent contractor, employed, fill in or a sublease holder. For Eyes encourages ODs to take on multiple locations and seek opportunities to help ODs grow. They understand that the OD is an important part of their network and as the OD grows – they grow. Leadership development is available with partnering with For Eyes are at corporate level with different roles. Some panels such as the Optometric Advisory Council is a great way to collaborate with like minded ODs and evolve as a leader within the organization and industry. For Eyes is owned by the largest retail optical in the world, Grand Vision. Opportunities are global if you choose that path! One of the major advantages of corporate optometry for fresh ODs is that it lets them test the proverbial waters. Corporate optometry practice branches out into various categories. For instance, you can be a regular OD, an associate OD, a leaseholder or contractor, as well as, a franchisee and more. Most corporate optometry jobs work late hours and are open 7 days a week. 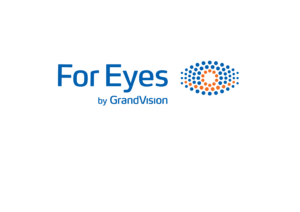 For Eyes take pride in working with their ODs to discover the best potential patient schedule and work hours for each locations. For Eyes understands that each location is unique and how the key to their success is the OD business. Doctors dictate their patient schedule and can practice the way that they are comfortable with. Working with For Eyes, there is a greater sense of fulfillment and the satisfaction that comes from just focusing on patient care and having the optical staff do what they do best at the optical end. Take a look at what For Eyes has to offer and why it is hands down the best career option for new ODs. Want to learn more email us at corporateoptometry@gmail.com to find the right fit for your optometric career.